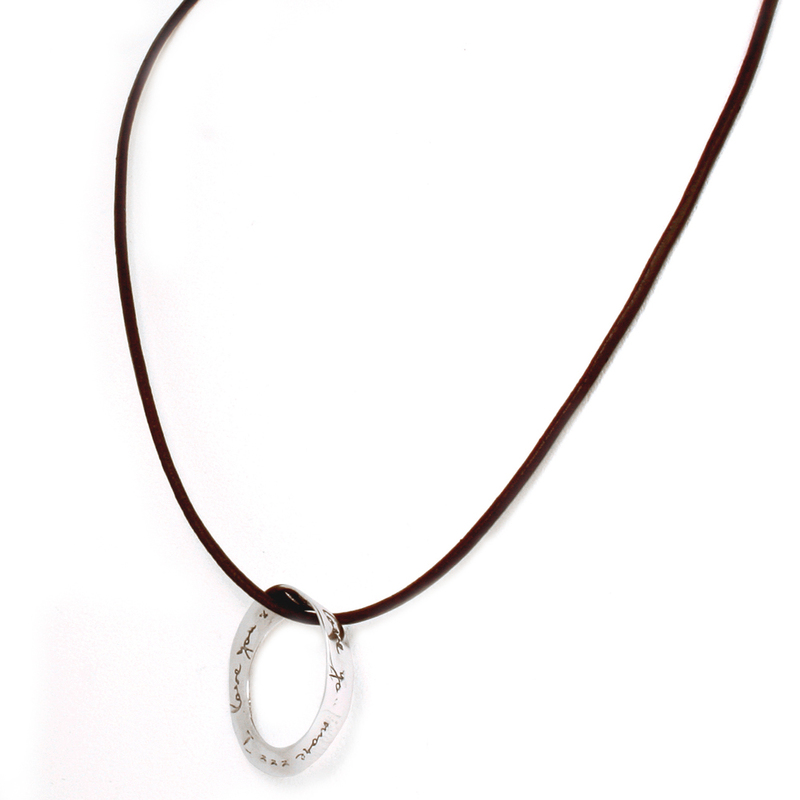 The eternal circle of love is beautifully crafted in sterling silver with the I Love You...I Love You More message. It is the optimal token of your affection for that someone special. 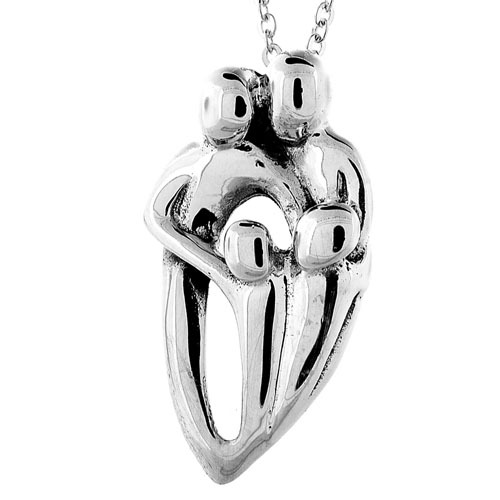 Also perfect for couples who want to wear matching pendants for their mirrored love. 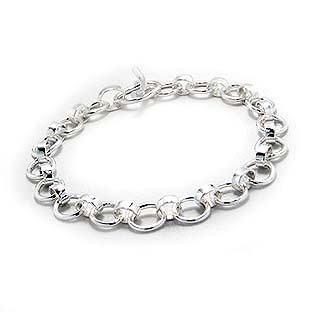 Comes with an 18" chain necklace. Notes: Message "I Love You... 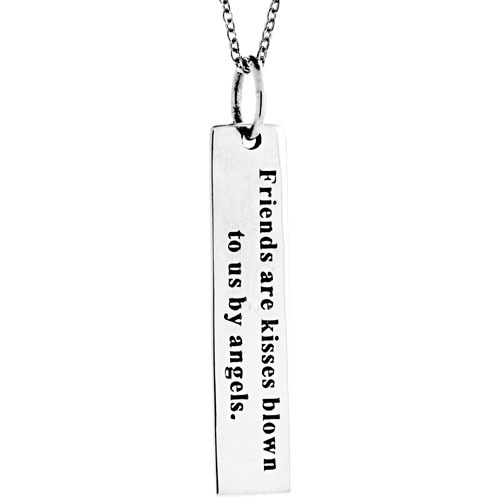 I Love You More"
Sterling Silver Message Pendant -- "Friends are kisses blown to us by angels."